The first tip in simple fishing is making sure the rig is just right. There are two reasons making sure the rig is just right. First, a strong well tied fishing knot won't break when setting the hook and second, certain knots swim your fly or lure in a way similar to the way fish swim making it more natural. There are many different ways of tying a knot and that all depends on what you are fishing for. Here are a few knots and what they are used for. The first one is a Turle Knot which is a great fixed knot for fly fishing and a Uni Knot is a loop left open that makes streamers and nymphs look realistic. Third tip is changing depths. Some people that fish the top of the water thinks it is fun but if there are no fish at the surface it won't be as fun as you won't be catching anything. If you are going to be fishing the top of the water, you want to make sure you are using a jig, spoon or a metal-lipped jerk bait to better your chances of catching something. You might have to go deeper to find where the fish are. There are going to be times where you will need to add or subtract weight when bait fishing or go to a sink tip or sinking line when you are fly fishing. Just remember if you are having any top water action you might need to go deeper to find where the fish are. With these few tips you will be able to catch that monster fish or a pile of pan fish this summer and possible into the winter, that's if you think you have the summer fishing down to give ice fishing a try. Good luck fishing this summer. Michelle Harolds is an avid outdoors woman. She enjoys hunting and fishing while listening to nature wake up for the day. She enjoys sharing her passion with the world and helps run a website selling hunting clothes and gear. Browse their selection now! First, which your guide should or already knows that hunting in thick cover will help your chances of shooting that monster elk. You can glass for elk on open hillsides, since most likely you will see an elk especially cows and young bulls. But seeing some of the best sightings can be done under thick cover, you are thinking how in the world am I going to spot an elk in thick cover, well don't worry about that you will see them they aren't the smallest animal in the world and plus it helps keep you hidden from them as well. Second, you want to be in shape. I know this sounds silly but you have to remember you could be walking for miles before you spot or even see an elk. You have to be ready to hike up, down, over blow downs, carry a heavy pack and be able to run when you need to. Remember if you do shot an elk, who do you think is going to carry it back to camp for you. Yup, that's right it will be just you and your guide if you have one. That can make you very tried quickly. Third, you want to pay attention to the wind. Just like you would any other hunt you would be on, elk hunting wouldn't be any different. If you are hunting with a guide they will have the best positions for being downwind so the elk won't smell you and ups your chances of shooting that monster elk. But if you are hunting with just your buddy you want to make sure you go that extra mile to approach an area that is downwind. You always need to pay attention to the wind while out hunting as the wind can change direction in a blank of an eye and you will have to find another spot that is downwind. Fourth, hunting in the afternoon and staying until dark. Some hunters head into the woods early and leave at midday and some will say you are leaving right when things are going to be getting in their prime for the evening. Staying in until mid afternoon will help you in the long run, as you can get a good meal in you to give you energy for the long hike ahead of you and you are going out when the animals are starting to get ready to settle down for the night and won't have their guard up. Finally, make sure to slow down. You don't want to run to your spot as you might miss something like that monster elk you are looking for. Trying hiking a mile or so and take a look around to see whats out there or to make sure you won't be running into any cows or young bulls on your way to where the big bulls are. Plus taking your time will save you some energy instead of burning it all off right away. 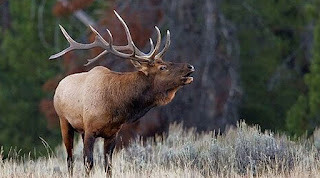 All these tips will be helpful if hunting elk by yourself or buddy or hunting with a guide. Make sure you have everything you need to go on the hunt and be patience enough for that monster bull to step out and give you that perfect shot. 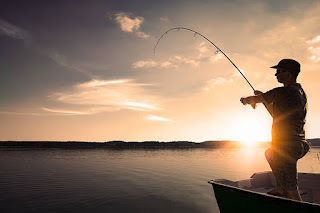 Fishing is the activity of trying to catch fish. Since the past several years, fishing as a sport has gained tremendous recognition all over the world. Technology has even supported the fishermen and anglers in different ways. The equipment is getting more developed to enhance the fishing experience and make it easier and more convenient. Just like other sports, having the proper equipment in fishing is very important. There is a variety of manufacturers in the market offering a wide range of fishing rods to cast distinctive baits with more accuracy. With so many options available to the end consumers, choosing a fishing rod may seem confusing. But keeping some factors in mind can ease the daunting process for you. Selecting the right rod is similar to finding the right clothes for you. First, you need to understand the basic of fishing rods. Choosing the length is the initial job. Fishing rods come in a variety of sizes ranging from four feet to fourteen feet. The shorter rod can be used to cast shorter distances and are used for lightweight baits. They are also suitable for trolling. Longer rods can be used to cast further distances making it useful for surfcasting. Longer rods are typically used for heavier baits and in fly fishing. Choosing on the weight is the next task. The weight of the rod will indicate how much weight your rod can carry and hence the strength of it. This selection will be determined by the type of bait you will use. Decide on the material next. Fishing rods are made of either graphite or fiberglass. They even come in a combination of both the materials. The materials will determine its functionality and kind of fishing you will do. Graphite rods are lighter in weight but are sensitive. They are even more expensive. Fiberglass rods are heavier but offer much more flexibility. They are highly durable material. They are relatively cheaper. If you are diverse fishermen preferring a variety of locations and different types of fish, then go for a combination of both materials. Choosing a reel is the next task. Rods are determined by what kind of reel you use. Reels come in two types. Either spinning or casting. Your selection will be determined by the type of fishing you do and your needs. Once you have selected the type of fishing rod you want, search for places where you can buy the fishing rod. The place where you buy the rod will greatly influence its quality. Visiting a specialty sporting goods store will give you access to a variety of fishing rods. You can even buy fishing rods online but be careful about it. 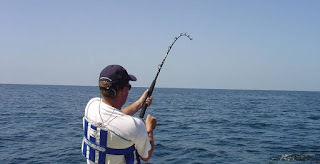 Go through reviews and select the best fishing rod. Before purchasing one, consider the what level fisherman you are, what kind of fishing you will be doing and the kind of bait you will use. Whenever choosing the fishing rod, determine the quality of it. You can do this by properly inspecting it. Hold the rod and see whether it is comfortable or not. Look for defects in the rod and even check the guides to get a better and a detailed idea. Slipping into a warm and open to dozing pack is one of the best delights of farmland outdoors. 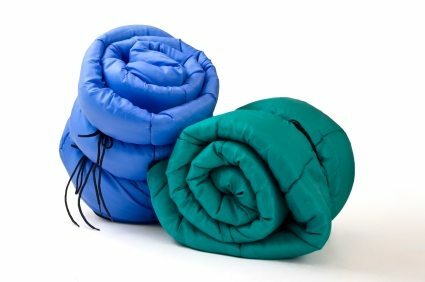 To keep the night chill under control, you have to pick a dozing sack of the right temperature rating, protection and shape. Different variables to consider may incorporate cost, largeness and elements that add to solace and comfort. This is dictated by the season when you are well on the way to utilise the sack summer, winter or when the temperatures are moderate. By and large the bag's name gives a thought regarding its rating, for case Marmot Plasma 15 pack is one appraised to a temperature of +15F. On the off chance that you like outdoors amid winter, pick a package valued at underneath 0F while a sack-suited for summer outdoors is evaluated +35F and higher. Numerous individuals go for the 3-season bag with a temperature rating of +10F to +35F because it is reasonable for shifting seasons. The lion's share of resting sacks come in three sorts of protection - manufactured, down and the water-repellent down. Down bags are loaded with duck and goose quills. They are compressible, strong, light and breathable. Be that as it may they are costly and can be sensitive to clients. Engineered protection is moderately less expensive, quick drying protects notwithstanding when wet, and has significant solidness. Be that as it may, manufactured protection is not compressible and in this manner possesses bigger room when bundled. The water-safe down protection keeps up security notwithstanding when put on the wet ground. Space is a critical issue in deciding a dozing pack's glow. It alludes to the puffiness or the thickness of the sack (a measure of the external width of the box). On the off chance that two packs have the same elements, shape and kind of fill, the one that has a higher space is hotter. Resting boxes come in three shapes-rectangular, mummy and semi-rectangular. Mummy-molded packs are decreased toward one side with a specific end goal to focus more warmth to the body. Rectangular resting packs offer more prominent space for a client to move their feet. The semi-rectangular packs consolidate the benefits of the other two, and they are more ideal. It is additionally great to process packages for zipper similarity. On the off chance that two sacks are to be zipped together, one ought to search for a pack with a "right-hand" zipper and another with a "left-hand" zipper. Different components you can find incorporate the accessibility of an implicit hood into which you can stuff garments to shape a pad. You may likewise check for a draught tube that keeps running on the first zipper to expand protection. It is prudent to check for the nearness of a stash pocket into which you can put a watch, glasses, telephone or some other little devices. Bewilders are the compartments in the resting pack that hold the filling so it is equitably appropriated. Fine nylon or polyester is the most widely recognised materials utilised for covering resting boxes. Wool or cotton are additionally prominent for resting sack linings, albeit lightweight and breathable cotton traps dampness so isn't prescribed for chilly conditions. Outer shells are regularly made of nylon ripstop is well known as it is very tough. Dryloft is water safe, breathable fabric that is frequently used for resting sacks. Dozing sacks are accessible with the zip opening on the privilege and left-hand sides. To make it simpler to unfasten when you are in it pick a pocket where the zip opening is the opposite side of your driving hand. If you are correct given choose a left pack and if you are left given pick a right sack. A two-way zip is valuable for single opening when ventilation is required. Zips can be full length or simply most of the way. Warmth can without much of a stretch be lost through the zipped territory of a dozing pack, a protected zip bewilder (behind the zip) decreases heat loss. A zip cover (a bit of fabric that is regularly secured with velcro) includes the zip when the pack is ultimately sped up keeping the zip coming fixed when sleeping. Quite a bit of your body warmth is lost through your head; a moulded hood will bear in heat. A drawstring conclusion permits you to pull the hood tight against your face for included warmth. A protected draught neckline (at the base of the hat) prevents body heat getting away from the pack and keeps out the frosty around neck and shoulders. Most draught collars will have a flexible attract string to fix if essential. Regularly found close to the highest point of the pack. Helpful for keeping resources, for example, wallets and telephones securely concealed. Mummy resting bags will accompany a stuff sack with a drawstring conclusion. Dissimilar to a rectangular box that can be collapsed a mummy bag ought to just be full into its pack. Pressure straps decrease the measure of the gathered pack. The decision of a dozing sack is to a large degree subject to the season in which it is intended to be used. Fetched, weight, kind of protection, storage space and the shape are other necessary components that you ought to consider. Components, for example, an implicit hood and nearness of a stash pack can add to your solace and accommodation. If you're going to camping, do take an inflatable kayak with you to double your enjoyment and fun.